Looking for that 10 minute dinner that you can quickly throw together to please everyone, that is both healthy and delicious? Here you have it! A delicious, colourful, and gluten free meal! Not only is it beautiful to look at, due to all of the colours that make up the dish, yet it is also FULL of protein, vitamins, minerals and fibre. Shrimp is an excellent source of the antioxidant mineral selenium, a very good source of copper, as well as is very low on the Glycemic Index. Shrimp is also high in vitamin B12, protein, phosphorus, choline and iodine, therefore providing an excellent source of these nutrients. 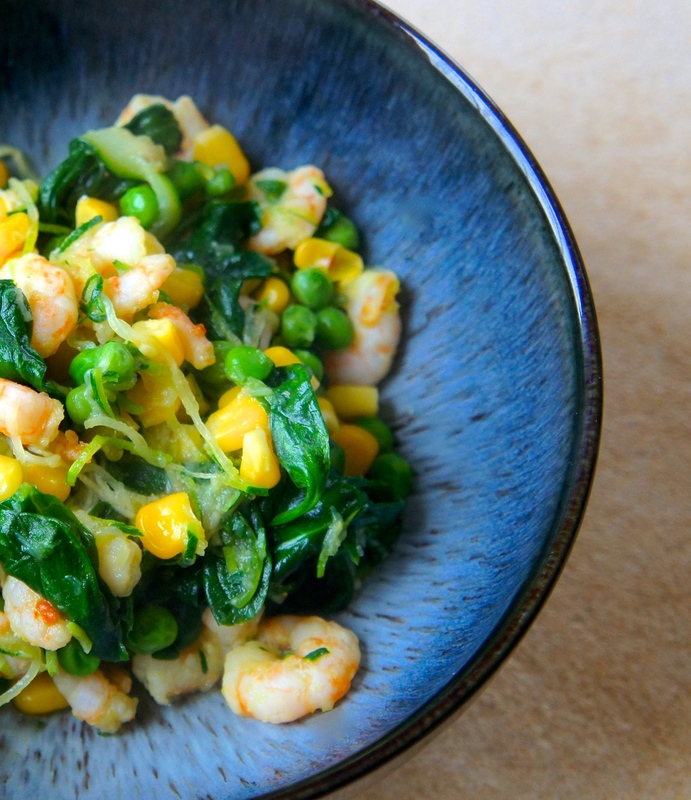 With only 7 calories per shrimp, it is also very beneficial or those who are wanting to decrease their daily caloric intake, meanwhile maintain a healthy diet. Heat a wok or large pan on medium heat with a small amount of oil and add the shrimps . Once they start to turn pink, add garlic salt and crushed red pepper flakes to the wok/pan. While waiting for the shrimps to cook, spiralize the three zucchinis. 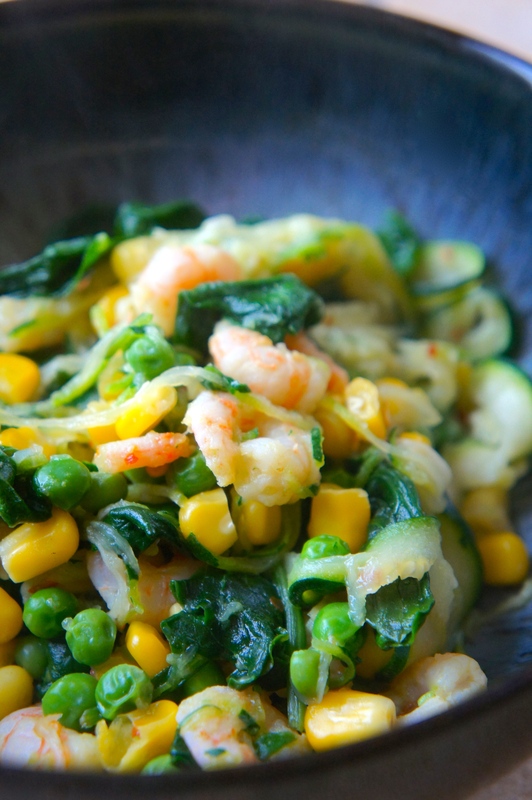 When the shrimps are cooked fully, add the spiralled zucchini to the wok/pan. Then, add in the baby spinach. Lastly, add the rest of the ingredients, including the chilli powder once the spinach has wilted. Stir altogether, until nicely combined and evenly heated. Remove from heat and place into four bowls.